This is a D&D related joke based off the "grassy knoll" landscape-type. 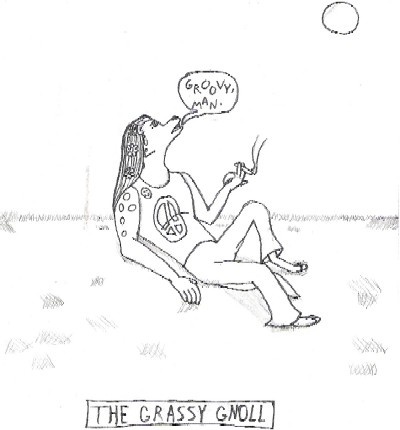 Here, I interpreted "Grassy" to mean high on pot. I personally don't smoke, but the idea of a gnoll hippie was just funny. You'd have to understand their savage nature to get that joke, man.